Dawleys Caravan Park is a quiet, peaceful park, situated in open countryside, with panoramic views across the Severn Valley, towards the Malvern Hills, it is the perfect place for you to relax, away from the hustle and bustle of modern-day life. You can take country walks direct from the site, and there are two quality golf courses and a driving range nearby. Horse riding is available locally, and newspapers, groceries and gas are obtainable from the well stocked village post-office in Twyning. There is a variety of coarse and fly fishing to be enjoyed, in both the Severn, the Avon and the local pools. River cruises and self-drive boats operate from Tewkesbury along the Avon during the summer. The historic town of Tewkesbury is about two miles away, there are many interesting shops and a bustling open-air market is held each Wednesday and Saturday. Tewkesbury has a fine abbey church dating from the twelfth century, and the nearby fields were the scene of a major War of the Roses battle. The town has a wealth of attractive timber framed properties, many of which are built in alleyways and courts, with the houses so close together that the eaves almost touch. Dawleys is the ideal base for a touring holiday, with the Cotswold Hills and their charming picturesque villages, the Vale of Evesham and its abundance of locally grown produce, and the beautiful Malvern Hills, Wye Valley and Forest of Dean all within easy reach for a day out. A quiet peaceful park, the perfect place for relaxing, walking and fishing. Ideally situated for touring the Cotswolds, Malverns and Severn Valley. 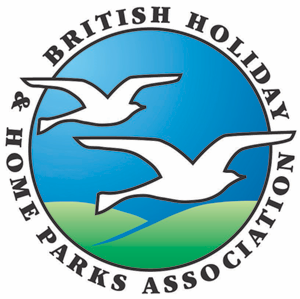 Holiday homes 15/03 to 15/12. M50 junction 1 A38 south towards Tewkesbury, signposted to right in 1.5 miles.